Wow. When I found this in my garden at the bottom of some conifers behind my Tree Ferns, I wondered what sort of fungi it was. A little bit of leafing through an old “Oxford book of Flowerless Plants” and I found it was called Geastrum triplex “Earth Star”. 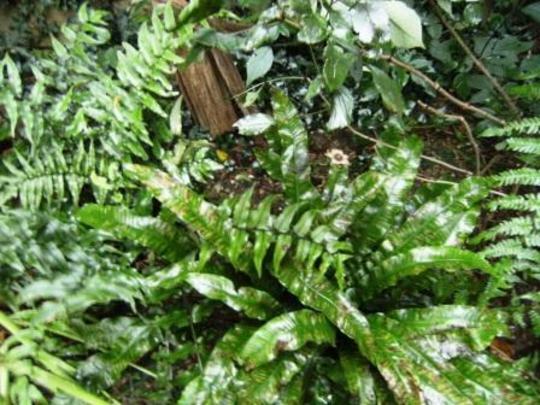 Having asked a question on here and having a response from Poaannua, whom mentioned that he had only seen one in quite a few years, I then had a look on the web and they seem to be rather rare. They usually appear Sept/Nov, often in beech woods but also in other areas to. Seems they like conifers/pines as well. Often shaped like an onion, then as it develops it’s outer layer splits into about 6 lobes which eventually fold back. Spores escape from the central onion shaped part as rain drops and hit’s the out side skin. 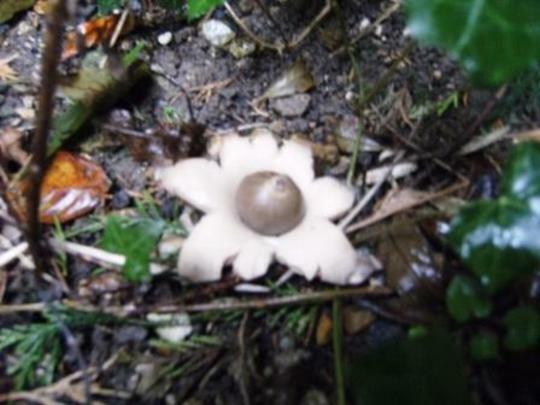 Ten other species of Geastrum have been found in Britain, but none of them is common. Previous post: Winter is coming leaves to collect. How exciting, what a good find. Exciting. ! I wonder if you'll see it again next year.